Proprietary Investment positions held by Hazlett Burt & Watson, Inc.
Hazlett Burt & Watson, Inc. The Disclosure of FINRA BrokerCheck Program Hotline Number is 1-800-289-9999.  You may obtain further information pertaining to the Disclosure of FINRA BrokerCheck Program by visiting their web site at www.brokercheck.finra.org or by contacting our office at 304-233-3312. The following information pertains only to clients who are opening margin accounts with HBW. A special customer security hypothecation agreement must be signed. Purchases of securities on credit, commonly known as margin purchases, enable you to increase the buying power of your equity and thus increase the potential for profit or loss. A portion of the purchase price is deposited when buying securities on margin, and credit is extended for the remainder. This loan appears as a debit balance on your monthly statement of account. Interest is charged on the debit balance and requires you to maintain securities, cash, or other property to secure repayment of funds advanced and interest due. Interest will be charged for any credit extended to you for the purpose of buying, trading, or carrying any securities, for any cash withdrawals made against the collateral of securities, or for any other extension of credit. When funds are paid in advance of settlement on the sale of securities, interest will be charged on such amount from date of payment until settlement date. In the event that any other charge is made to the account for any reason, interest may be charged on the resulting debit balance. The initial minimum amount of collateral, which you must provide when you buy securities on margin is determined by the rules of the Board of Governors of the Federal Reserve. The present initial margin requirement is 50%. (Thus, you must provide a minimum of 50% of the market value of the stock you purchased on margin and credit is extended to you for the balance of the purchase price.) The initial margin requirement is subject to change by the Federal Reserve Board without prior notice. In addition to the Federal Reserve Board's initial margin requirement, you must have a minimum of $5,000 equity every time you enter into a new commitment in your margin account. Interest will be charged to your account for any credit extended to you for the purpose of buying or trading or carrying any securities or for other purposes. The rate at which interest is charged on your net debit balance is based upon the broker's call money rate in effect during the applicable interest period. Adjustment of Rate Without Prior Notice: The annual rate of interest will change up or down without prior notice in accordance with shifts in the broker’s call money rate. If your interest rate is to be increased for any other reason, you will be provided with at least 30 days written notice prior to such change. You can lose more funds than you deposit in the margin account. A decline in the value of securities you purchased on margin may require you to provide additional funds or margin-eligible securities to avoid the forced sale of any securities or assets in your account. We can force the sale of securities or other assets in your account. If the equity in your account falls below the maintenance margin requirements or higher “house” requirements, we can sell the securities or other assets in your account to cover the margin deficiency. You also will be responsible for any short fall in the account after such a sale, possibly including costs related to collecting the short fall. If you are a director, officer or 10% shareholder of an issuer whose securities are sold to cover a margin deficiency in your account, you could be liable to this issuer for profits from the forced sale, as compared with any purchases you may have made of securities of the same issuer within six months of the sale (note that you could receive such a profit even if a shortfall remains in the account after the sale). Your securities or other assets can be sold without contacting you. Some investors mistakenly believe that a firm must contact them for a margin call to be valid, and that the firm cannot liquidate securities or other assets in their accounts to meet the call unless the firm has contacted them first. This is not the case. Most firms will attempt to notify their customers of margin calls, but they are not required to do so. In addition, even if a firm has contacted a customer and provided a specific date by which the customer can meet a margin call, the firm can still take necessary steps to protect its financial interests prior to that date, including immediately selling the securities without notice to the customer. You are not entitled to choose which securities or other assets in your account are liquidated or sold to meet a margin call. Because the securities and any other assets in your account are collateral for the margin loan, we have the right to decide which assets to sell in order to protect our interests. “House” maintenance margin requirements can be increased at any time and we are not required to provide you advance notice. These changes in firm policy often take effect immediately and may result in the issuance of a maintenance margin call. Your failure to satisfy the call may cause us to liquidate or sell securities or any other assets in your account. Short selling is a margin account transaction and entails the same risks as described above. We can buy in your account securities to cover a short position without contacting you, and may use all or any portion of the assets in your account to make such a purchase. If the assets in your account are not sufficient to cover the cost of such a purchase, you will be responsible for any shortfall, possibly including costs in collecting the shortfall. The securities held in your margin account, which collateralize your margin borrowing, can be loaned to others. As a result of these loans, you may not be entitled to receive certain benefits of a securities owner, such as the ability to exercise voting rights and/or receive interest, dividends, and/or other distributions with respect to the securities lent. While a security in your account is lent, you may only be allocated and receive substitute payments in lieu of such interest, dividends, and/or other distributions. Substitute payments may not be afforded the same tax treatment as actual interest, dividends, and/or other distributions, and you may incur additional tax liability for substitute payments that you receive. We may allocate substitute payments in any manner permitted by law, rule, or regulation, including, but not limited to, by means of a lottery allocation method. You are not entitled to any compensation in connection with securities lent from your account or for additional taxes you may be required to pay as a result of any tax treatment differential between substitute payments and actual interest, dividends, and/or other distributions. In addition to market volatility, the use of bank card, checkwriting and similar features with your margin account may increase the risk of a margin call. To help the government fight the funding of terrorism and money laundering activities, Federal law requires all financial institutions to obtain, verify, and record information that identities each person who opens an account. What this means to you: When you open an account, we will ask for your name, address, date of birth and other information that will allow us to identify you. We may also utilize a third-party information provider for verification purposes and/or ask for a copy of your driver’s license or other identifying documents. Before investing in mutual funds, it is important that you understand the sales charges, expenses, and management fees that you will be charged as well as the breakpoint discounts to which you may be entitled. Understanding these charges and breakpoint discounts will assist you in identifying the best investment for your particular needs and may help you to reduce the cost of your investment. This disclosure document will give you general background information about these charges and discounts; however, sales charges, expenses, management fees, and breakpoint discounts vary from mutual fund to mutual fund. Therefore, you should discuss these matters with your investment professional and review each mutual fund’s prospectus and statement of additional information (which are available from your investment professional) to obtain the specific information regarding the charges and breakpoint discounts associated with a particular mutual fund. Investors who purchase mutual funds must make certain choices, including which funds to purchase and which share class is most advantageous in light of their specific investing needs. Each mutual fund has a specified investment strategy. You need to consider whether the mutual fund’s investment strategy is compatible with your investment objectives. Additionally, many mutual funds offer different share classes. Although each share class represents a similar interest in the mutual fund’s portfolio, the mutual fund will charge you different fees and expenses depending upon your choice of share class. As a general rule, Class A shares carry a “front-end” sales charge or “load” that is deducted from your investment at the time you buy the fund shares. This sales charge is a percentage of your total purchase. As explained below, many mutual funds offer volume discounts to the front-end sales charge assessed on Class A shares at certain predetermined levels of investment, which are called “breakpoint discounts.” In contrast, Class B and C shares usually do not carry any front-end sales charges. Instead, investors who purchase Class B or C shares pay asset-based sales charges, which may be higher or lower than the charges associated with Class A shares. Investors that purchase Class B or C shares may also be required to pay a sales charge known as a contingent deferred sales charge when they sell their shares, depending upon the rules of the particular mutual fund. Most mutual funds offer investors a variety of ways to qualify for breakpoint discounts on the sales charge associated with the purchase of Class A shares. In general, most mutual funds provide breakpoint discounts to investors who make large purchases at one time. The extent of the discount depends upon the size of the purchase. Generally, as the amount of the purchase increases, the percentage used to determine the sales load decreases. In fact, the entire sales charge may be waived for investors that make very large purchases of Class A shares. Mutual fund prospectuses contain tables that illustrate the available breakpoint discounts and the investment levels at which breakpoint discounts apply. Additionally, most mutual funds allow investors to qualify for breakpoint discounts based upon current holdings from prior purchases through Rights of Accumulation and from future purchases based upon Letters of Intent. Mutual funds have different rules regarding the availability of Rights of Accumulation and Letters of Intent. Therefore, you should discuss these matters with your investment professional and review the mutual fund’s prospectus and statement of additional information to determine the specific terms upon which a mutual fund offers Rights of Accumulation or Letters of Intent. Rights of Accumulation—Many mutual funds allow investors to count the value of previous purchases of the same fund, or another fund within the same fund family, with the value of the current purchase to qualify for breakpoint discounts. Moreover, mutual funds may allow investors to count existing holdings in multiple accounts, such as individual retirement accounts (IRAs) or accounts at other financial organizations to qualify for breakpoint discounts. Therefore, if you have accounts at other financial organizations and wish to take advantage of the balances in these accounts to qualify for a breakpoint discount, you must advise your investment professional about those balances. You may need to provide documentation establishing the holdings in those other accounts to your investment professional if you wish to rely upon balances in accounts at another firm. Mutual funds also follow different rules to determine the value of existing holdings. Some funds use the current net asset value (NAV) of existing investments in determining whether an investor qualifies for a breakpoint discount. However, a small number of funds use the historical cost, which is the cost of the initial purchase, to determine eligibility for breakpoint discounts. If the mutual fund uses historical costs, you may need to provide account records, such as confirmation statements or monthly statements, to qualify for a breakpoint discount based upon previous purchases. You should consult with your investment professional and review the mutual fund’s prospectus and statement of additional information to determine whether the mutual fund uses either NAV or historical costs to determine breakpoint eligibility. Letters of Intent—Most mutual funds allow investors to qualify for breakpoint discounts by signing a Letter of Intent, which commits the investor to purchasing a specified amount of Class A shares within a defined period of time, usually 13 months. For instance, if an investor plans to purchase $50,000 worth of Class A shares over a period of 13 months, but each individual purchase would not qualify for a breakpoint discount, the investor could sign a Letter of Intent at the time of the first purchase and receive the breakpoint discount associated with the $50,000 investment on the first and all subsequent purchases. Additionally, some funds offer retroactive Letters of Intent that allow investors to rely upon purchases in the recent past to qualify for a breakpoint discount. However, if an investor fails to invest the amount required by the Letter of Intent, the fund is entitled to retroactively deduct the correct sales charges based upon the amount that the investor actually invested. If you intend to make several purchases within a 13 month period, you should consult your investment professional and the mutual fund prospectus to determine if it would be beneficial for you to sign a Letter of Intent. As you can see, understanding the availability of breakpoint discounts is important because it may allow you to purchase Class A shares at a lower price. The availability of breakpoint discounts may save you money and may also affect your decision regarding the appropriate share class in which to invest. Therefore, you should discuss the availability of breakpoint discounts with your investment professional and carefully review the mutual fund prospectus and its statement of additional information, which you can get from your investment professional, when choosing among the share classes offered by a mutual fund. If you wish to learn more about mutual fund share classes or mutual fund breakpoints, you can also review the investor alerts that are available on the FINRA web site at http://www.finra.org/InvestorInformation/InvestorAlerts/MutualFunds/UnderstandingMutualFundClasses/Index.htm and http://www.finra.org/InvestorInformation/InvestorAlerts/MutualFunds/MutualFundBreakpointsABreakWorthTaking/Index.htm. Preauthorized deposits and redemptions are only permitted to be made to and from Hazlett brokerage accounts. Types of Available Transfers and Limits on Transfers. Preauthorized deposits will be made to the Hazlett account you indicated, of payments made by third parties (such as the direct deposit of payroll or recurring payments from the federal government). The frequency and amount of these preauthorized deposits will be subject to the terms of the arrangements, which you have with the third party payer. Preauthorized redemptions will be made from your Hazlett account, to the bank account you designated for the transfer. The frequency and amount of these preauthorized redemptions will be subject to the terms of the arrangements, which you have made with Hazlett. Redemption requests made by telephone from your Hazlett account, to the bank account designated for the transfer. The frequency and amount of these preauthorized redemptions will be subject to the terms of the arrangements, which you have made with Hazlett. Preauthorized deposits will be made to your Hazlett account, from the bank account designated for the withdrawals. The frequency and amount of these preauthorized deposits will be subject to the terms of the arrangements, which you have made with the bank. Periodic Statements. You will be provided with an account statement each month, in which a transaction occurs, or at least quarterly. Liability for Failure to Make Transfers. Through no fault of ours, your Hazlett account did not have sufficient funds to complete the payment. Circumstances beyond our control (such as fire, flood or a delay in the transmittal of a payment by mail or otherwise) prevented the proper completion of the payment despite reasonable precautions by us to avoid these circumstances. The account(s) was subject to legal process or other encumbrance, such as a levy, restricting such payment. This list is not exclusive; there may be other exceptions stated in our agreement with you. You have no liability for unauthorized payments from your Hazlett account provided you have exercised reasonable care to prevent such activity and you notify us immediately if you believe that someone has transferred or may transfer funds from your account without your permission. You agree to protect your account information and not to give or make available your account information to any unauthorized individuals. If you believe that your account information has been compromised or that someone may attempt to transfer money from your account without your consent, you must notify Hazlett immediately at (800) 537-8985. To stop a payment, you must notify us at least three (3) business days before the payment is scheduled to be made. You must confirm your stop payment instructions in writing immediately to assure that they are received within fourteen (14) calendar days after you call. If you order us to stop a preauthorized payment five (5) business days or more before the transfer is scheduled, and Hazlett does not do so, Hazlett will be liable for your reasonable actual losses, subject to the conditions set forth in “Liability for failure to make transfers” section. You may be charged a stop payment fee of $15. Business Days / Hours of Operation. Business days are Monday through Friday, excluding New York Stock Exchange holidays and regional bank holidays, 8:00 a.m. to 5:00 p.m. (Eastern Time). There are no fees associated with preauthorized redemptions or deposits. If you have given us written permission. The dollar amount and date of the suspected error. Hazlett will tell you the results of our investigation within ten (10) business days after we learn of the discrepancy and if we determine there was an error, we will correct such error promptly. However, if we require more time, we may take up to forty-five (45) calendar days to investigate your complaint or question. If we determine that there was no error, we will send you a written explanation within three (3) business days after we complete our investigation. Further, Hazlett may impose service charges based upon the time spent and the expense incurred in connection with your inquiries, if it is determined that Hazlett is not the party in error. Hazlett, if appropriate, will not recredit you account until our investigation is complete. Hazlett may amend any of the above terms and applicable fees from time to time upon thirty (30) days notice to you. Further, we reserve the right to terminate our agreement with you. Please keep this information for further reference. Clarity of Rights and Responsibilities. Clarity of Performance. Clarity Through Understanding. The foundation of any successful business is built on the right culture – on shared values of honesty, integrity and genuine concern for clients. These and other values are inherent in the Hazlett Burt & Watson culture and are central to how we serve clients in our mission to provide the best financial advice and service. We believe in partnerships with clients, for they inspire us to work harder and smarter every day. We believe that to abide by the highest professional standards is an obligation we incurred when we chose to earn our living by managing our clients’ investments. As an active member of the Securities Industry and Financial Markets Association (SIFMA), Hazlett Burt & Watson has partnered with other industry leaders to create Commitment to Clarity, a dedication to openness and understanding as the guiding principles for all interactions between investors and the firms that serve them. At the center of the commitment is the Investors’ Bill of Rights, which outlines the rights and responsibilities that should guide investors and advisors when making investment decisions. SIA adopted the Bill of Rights in November 2004, a measure that Hazlett Burt & Watson was proud to commit to and share with clients. Clarity is the cornerstone of trust between investors and their Financial Advisors. SIFMA is committed to clarity through full and unambiguous disclosure, as well as enhanced understanding of the securities markets. We believe that the needs of the investor should always come first. As an investor, you have important rights, including the right to high-quality products and services from the securities firm you choose. At the same time, investors need to shoulder certain responsibilities themselves — for example, to plan carefully to meet their investment goals and to stay informed about the risks and rewards of their investments. To be treated in a fair, ethical and respectful manner in all interactions with Hazlett Burt & Watson and its employees and affiliates. To select your own Financial Advisor or request a different one if you are not satisfied, understanding that every Financial Advisor may have a unique manner, style or investment philosophy. To move your account to another Financial Advisor or a new investment firm whenever you wish, in a simple, efficient manner. To clear, accurate, easy-to-understand descriptions of all your transactions, statements and other communications from Hazlett Burt & Watson. To be informed clearly about all costs associated with your account and the costs related to individual transactions, including commissions, sales charges (or loads) and other fees. To be provided with clear descriptions of Hazlett Burt & Watson’s policies and practices for protecting the privacy of non-public, personal information. To be provided with responsible investment recommendations based on your personal objectives, time horizon, risk tolerance and other factors, as disclosed by you. To be apprised of significant conflicts of interest identified in a financial relationship between an investor and his or her broker-dealer or Financial Advisor. To expect that Hazlett Burt & Watson will provide professional assistance to help you clarify your investment goals and risk tolerance. To be able to rely on Hazlett Burt & Watson’s assistance in setting realistic expectations about the long-term performance and associated risks of various securities. Hazlett Burt & Watson will present you with reasonable investment alternatives designed to meet those expectations, and disclose the comparative risks, benefits and costs. To fair consideration and a prompt response from Hazlett Burt & Watson, if any problem with your account ever arises. To a prompt, fair resolution of inquiries, questions and complaints. Hazlett Burt & Watson will provide you with full information about this process, in order that your questions, inquiries and complaints can be resolved in a timely manner. To be apprised of alternatives if Hazlett Burt & Watson is unable to resolve a dispute to your satisfaction. Read thoroughly all sales literature, prospectuses and/or other offering documents, when available, before making any investment. Consider carefully all investment risks, fees and/or other factors explained in these documents. Make certain that you understand the relationship, not only between your investment objectives and the risks and returns on your particular investments, but also between your particular investments and your investment objectives. You need to remember at all times that every investment has some degree of risk and that it is possible to lose money – some or all – on any investment. Provide complete, accurate information about your financial status, investment goals and risk tolerance when seeking investment advice, so that Hazlett Burt & Watson can provide you with appropriate recommendations. Seek out whatever information you need or want from your Financial Advisor by proactively asking any questions you have about your account, a specific transaction, risk exposures, potential conflicts of interest and, of course, commissions, sales charges and other fees. Notify your Financial Advisor promptly whenever there is a significant change in your investment objectives, risk tolerance, income, net worth or liquidity needs. Review your portfolio holdings on a regular basis and whenever your financial circumstances change. You may want to make appropriate changes based on your investments’ performance and your current objectives. If you have any holdings in mutual funds, tell your Financial Advisor about similar mutual fund holdings you have at other broker-dealers or directly with the mutual funds, so that your representative can make sure you receive any applicable “breakpoint” discount. Have cash or available margin-buying power in your investment account, or transfer funds into that account, to ensure payment for securities purchases by the settlement date. If you are paying by check or funds transfer, you should always make payments directly to Hazlett Burt & Watson. Review all transaction confirmations and account statements or reports carefully and promptly. You should report any errors or any questions you have to your Financial Advisor or Branch Manager immediately. Consult an attorney or a tax adviser for specific tax or legal advice. Consider carefully the validity and reliability of investment information obtained from all sources, especially unsolicited information obtained over the Internet. Understand that the opinions of Research Analysts or Financial Advisors should never be interpreted as a guarantee of future performance or rate of return.